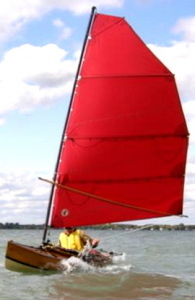 We’ve put our logo on more than a thousand sails for small craft: skiffs, prams, peapods, dories, beach cruisers, pocket cruisers, catboats, sharpies, skipjacks and schooners – even ice boats, pond yachts and proas. 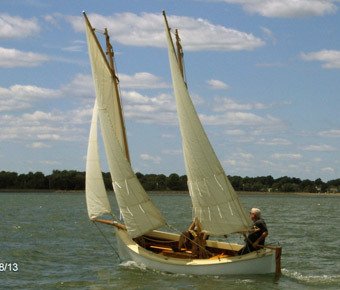 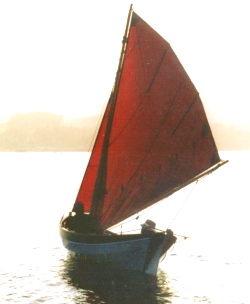 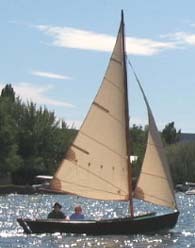 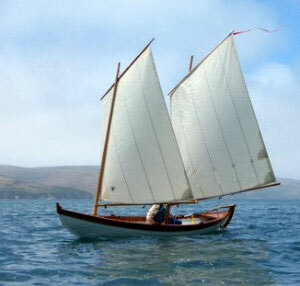 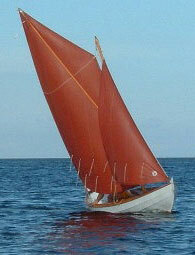 Designs for traditional sails like gaff, gunter, lug and sprit are based on personal experience with these older types on our own boats. 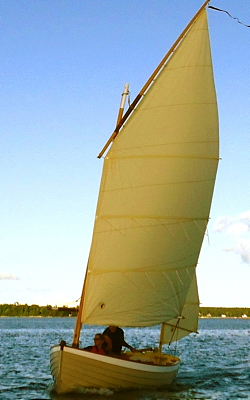 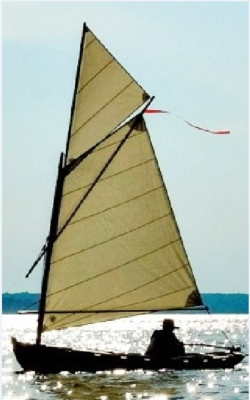 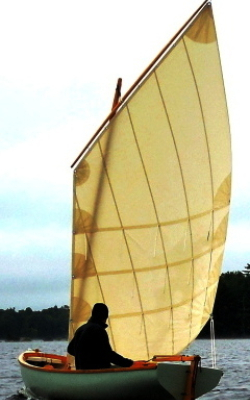 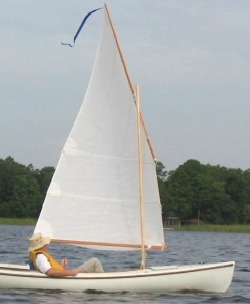 We use special Dacron and polyester cloths that have a relatively soft hand, matching weight, bias characteristics, and panel layout to the type of sail and intended use of the craft. 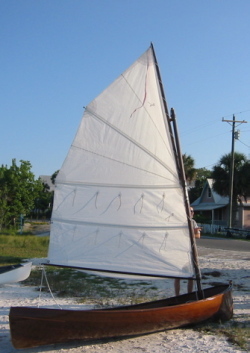 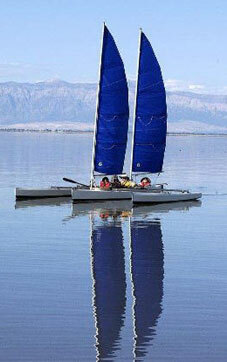 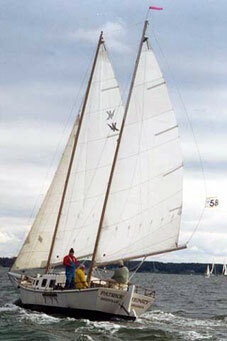 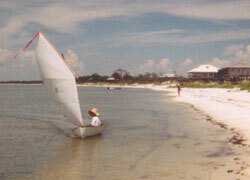 Careful seaming, tabling, roping, reinforcement, and hand finishing produce beautiful as well as efficient sails.